For pitch renovation and problem diagnosis book a free site survey today! Sports Maintenance Services not only troubleshoot and diagnose issues across football pitches, but also maintain, renovate and install. 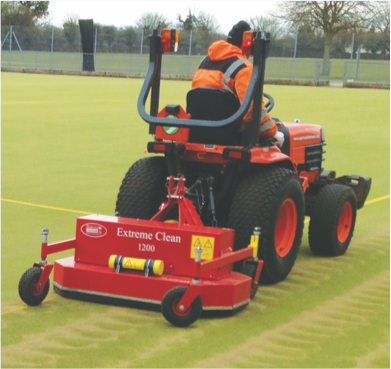 Artificial sports pitches and courts will take a beating through heavy use and through rough weather conditions, but pitch maintenance can ensure that player safety is maintained at all times and can significantly increase the lifespan of the pitches too. 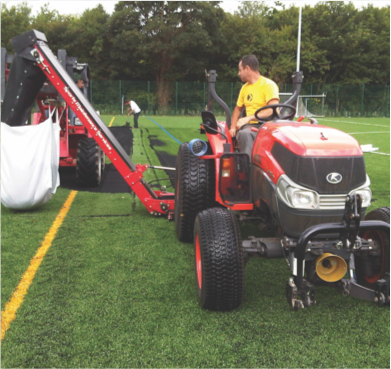 Correct care and maintenance can add as much as 30% to the life-span of pitches and here we explore some of the care and maintenance services that can be provided to prolong the lifespan. We offer a range of maintenance and renovation packages that can be tailored to suit your budget requirements and help you maximise the life of your playing surface. Sand filled and Sand dressed carpets need to be cleaned on a bi-annual or quarterly basis to keep them level and well maintained. The pile levels will change over time and if they are not maintained this will lead to pile collapse and irreversible damage to the surface. Maintenance for sand filled and sand dressed carpets will include a deep surface clean with chemical treatments. We will then decompact the infill. The process is undertaken over the whole surface and in a transverse directional pattern, fully releasing compacted infill and ground-in matter. This allows for free drainage. Seam repair are carried out wherever required, followed by top dressings to counter pile collapses. Chemical treatments, carpet repairs and surface testing are all integrated into our maintenance packages. For recreational multi use we would offer official BS EN 15330 testing but for competitive use we would direct clients to governing body testing (eg FIH). 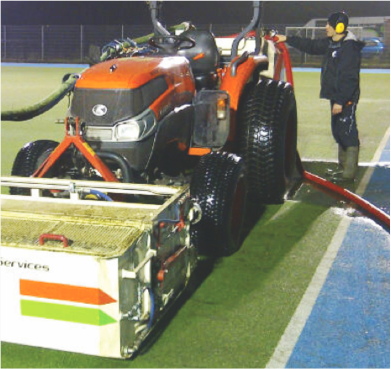 Water filled hockey pitches need to be maintained annually to avoid algae contamination. We use proven European chemicals that can be applied directly to the surface or we can supply you with the chemical to use in your irrigation system. During our maintenance visit any minor carpet repairs are carried out. We would also provide annual FIH testing for competitive use as part of our fixed maintenance package. Rubber filled pitches should be cleaned bi-annually or quarterly, depending upon the intensity of use. Treatments will include a deep clean with chemical treatments and de-compaction to allow proper drainage. As part of our maintenance packages we offer integrated testing. 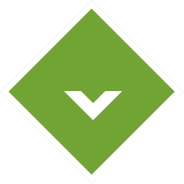 For competitive use we offer official FA, FIFA, or WR testing. For recreational multi use – we direct clients to official BS EN 15330 testing on an annual basis. This service is free to customers on our maintenance contracts. Chemical treatment and carpet repairs are also integrated into all our maintenance packages. Proper pitch maintenance is vital if you want to improve the longevity of your pitch and protect player safety at all times. Depending on the pitches you may need renovation on an annual, bi-annual or quarterly basis to save you from much greater costs that you may face in the long run otherwise. 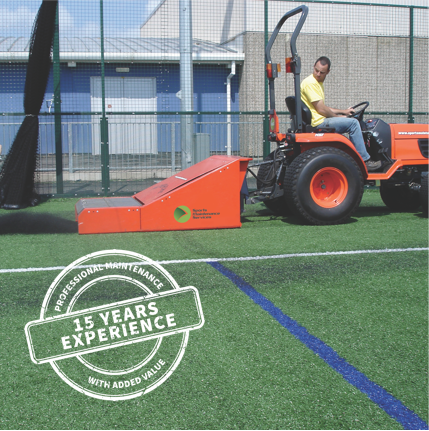 This maintenance and renovation may increase the lifespan of your pitch by up to 30% by allowing for proper drainage, preventing compaction and eliminating harmful contamination. 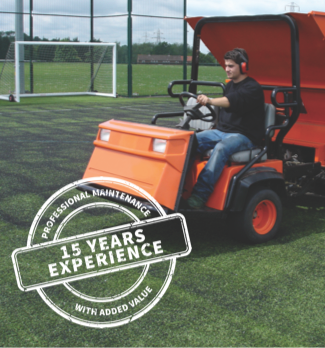 If your pitch is showing signs of wear and tear, contact our team of experts to arrange a FREE site survey or to learn more about pitch renovation.